In my earlier tutorials “Enlightning the Freedom KL25Z Board” and “Accelerating the KL25Z Freedom Board” I have not used an RTOS. In this one I’m creating a project from scratch and run it with the open source FreeRTOS operating system, using the FRDM-KL25Z Freedom board. MCU10.3 comes with gcc, and is nicely integrated with Eclipse and CodeWarrior. With this tutorial, it is possible to get an RTOS up and running on a Kinetis device very quickly. I have a KL25Z which has 128 KByte FLASH and 16 KByte of RAM. What I want to explore is if things could fit as well to the KL0 family where the smallest device has only 8 KByte of FLASH and 1 KByte of RAM. Can this work? I have not received my pre-ordered boards yet, but at least I have now one of the new black ones, see this post. And I have good and bad news. My earlier posts were around the Kinetis gcc compiler which comes with CodeWarrior for MCU10.3. MCU10.3 comes as well with the Freescale Kinetis compiler as in MCU10.2. In “S-Record Generation with gcc for ARM/Kinetis” I explored how to generate S19 or other output files with gcc. However, you only can produce one file format at a time. What if I need multiple formats or a different format. What if I need to do the same with non-gcc build tools? S-Records are usually easy as supported in the linker. Other formats need a bit more plumbing. So this post is how I can create and manipulate the different output formats, so I can use it with a bootloader. Today I attended the regional ‘Design with Freescale’ seminar. It had a part with a hands-on training using PEG for the Tower K60 + TWR-LCD board. It was the first time I had my hands on PEG which is a good learning experience. I learned that it is possible to fill more than 200 KByte of Flash with a simple LCD Touchscreen application which only has two screens, two buttons, a static text and two small bitmaps ;-). This is especially handy as it allows you to see the impact on code size immediately e.g. if I change a compiler option or do a source code change. Simple and easy. Yes, I could get that kind of information from the linker map file too. But this means I need to open that file, scroll down/etc: many steps just to find out the code size. The goal is show the accelerometer x, y and z-axis on the RGB LED. 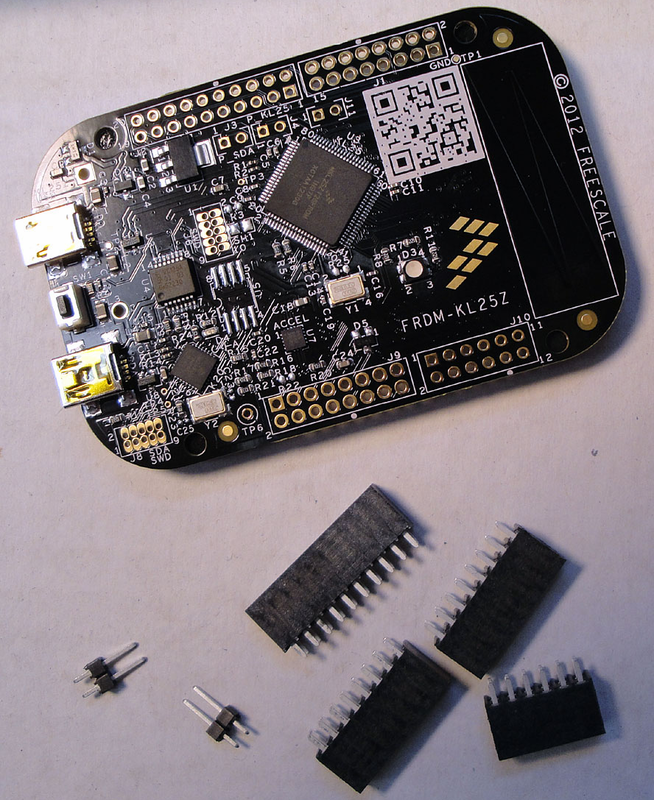 P&E has released information and firmware instructions for using the OpenSDA, see pemicro.com/opensda. Future has posted a very useful article about using OpenSDA here. So time to upgrade OpenSDA bootloader and firmware v10.1. My FRDM-KL25Z board is a pre-production board, and I assume the production boards expected next week will have the new firmware on it. But it is always useful to know how to change/upgrade the firmware, as I expect there will be new versions of it in the future. I admit: I’m a ‘space’ person. What I mean is that I prefer ‘spaces’ over ‘tabs’ in my source code. Why? Because I don’t want to relay on the tab width, and I prefer to use ‘two spaces for an intention level’. I would assume that maybe half of the world is for spaces, and half of the world is for tabs. I don’t want to cause a religious war here. I’m for freedom of choice, and this is what Eclipse and CodeWarrior for MCU (which is Eclipse based) offers. Now as I have outed myself as a ‘spacer’, and given the fact that CodeWarrior comes as ‘tabser’ by default, this is something I have to change as a setting for my workspace. Here is what I do…. The schematics for the Freedom board is now available on the element14 Freedom Board site (you need to log into the element14 community first) as FRDM-KL25Z Schematics (SPF-27556_D).pdf (314.7 K)). So time to write a tutorial how to use the LED on that board. ❗ Note: since this tutorial, the LED component has been simplified. So some of the steps below are much simpler and easer. 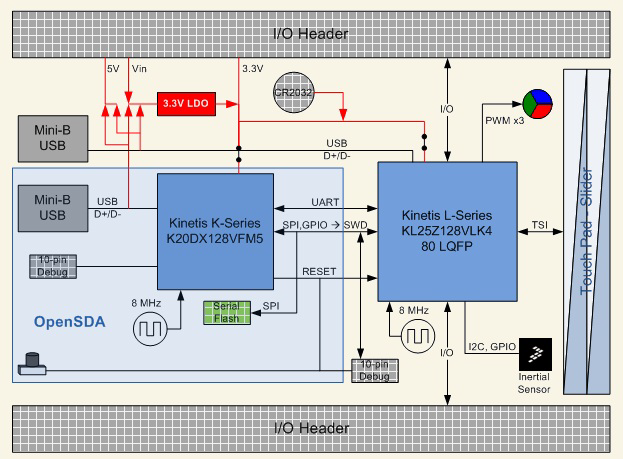 Please see LED’s for Kinetis, simplified | MCU on Eclipse. I have updated this post with the new instructions and images. In “FreeRTOS with GCC, Cortex-M0+ and Kinetis KL25Z Freedom Board” and “A Shell for the KL25Z Freedom Board” I have used that board with an RTOS: FreeRTOS. 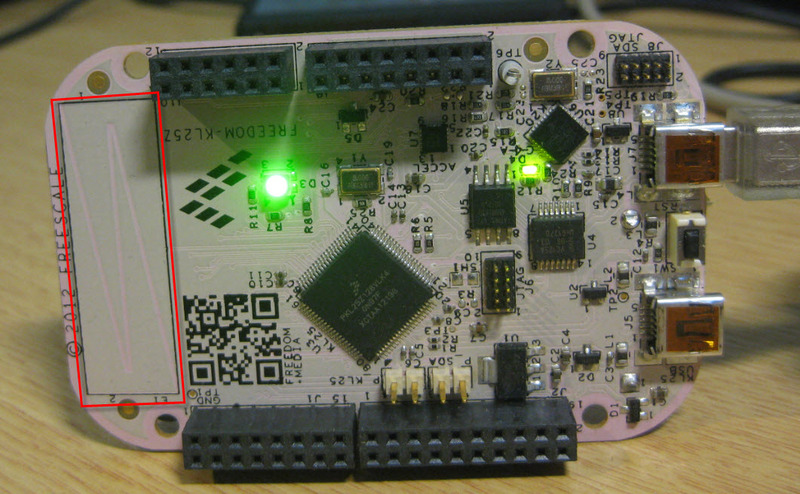 But it is really easy to use that board without an RTOS (‘bare metal’) too. In this tutorial I’m providing step by step instructions to use the RGB LED on the Freedom KL25Z board with Processor Expert and the open source LED component.